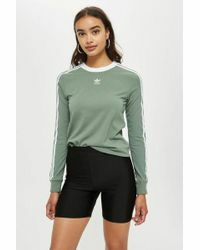 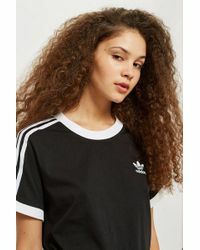 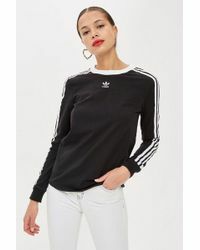 Combining ground breaking technology, premium quality materials and cool, contemporary designs, German brand Adidas is one of the leaders in the global sportswear industry. 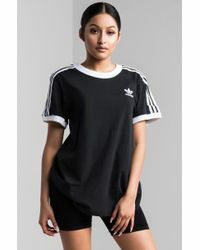 Founded in 1948 by businessman Adolf Dassler, the company quickly became known for its iconic three bar logo. 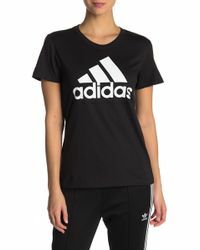 Give your casual closet a sporty, urban edge with the Adidas tops collection. 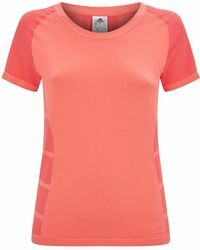 Boyfriend crew tops, colour-block tanks, and classic oversized logo T-shirts are some of the newest highlights.